Do you have also a multifunctional kitchen rag or do you know somebody doing this very insane thing? Ehm.. it does not sound very hygienic? Ok, I am DYING! Seriously, it must be a Chinese MIL thing to wash your hands and then dry them on a dirty rag that you just used to wipe fish guts off the counter with. Or polish apples. I. Cannot. Wait. To. Move. I bet you’re counting down the days until she goes back to China, huh? Hang in there! Momzilla has her favorite rag too, but it’s only used for her face (too bad it’s like 10 years old). 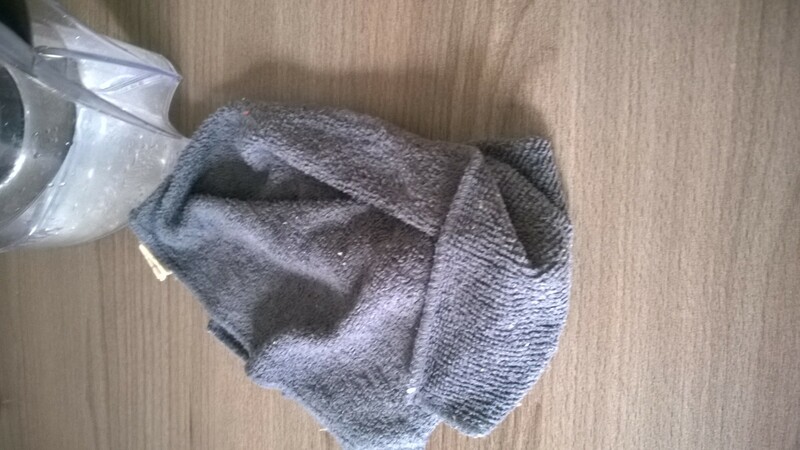 she likes to recycle the socks she wears – before putting them to wash she wipes her shoes with them ……. I am wondering if she also uses this rag for her face…wouldnt surprise me! I have already a solution for this. I bought a new same kind of rag and will secrelty switch them! wait.. the floor too?? that’s where i drag the line. i have several kitchen rags but that’s because i wash them when they become dirty. and i don’t mix them up like this.. i never kneaded dough [though i kinda wanna try it out…] but i would make sure to cover with some plastic or the cleanest towel/ rag. We also have multple rags but she ignores the others and just focus on this poor victim. My wife always uses a clean towel for the dough or plastic but my mother-in-law…well she is kind of crazy and weird and must be possesed by some demon! Well…. I wouldn’t use the same rag to clean the floor, but the rest I don’t know. I keep reading all those news about people getting seriously sick and dying from illnesses that here down South (Argentina) aren’t more eventful than a strong cold. It can be icky, sure, but exposure to germs builds resistance. And using just one rag until it is more holes than fabric and so thin you can see through it, is ecologically sound. The funny thing is, her husband (my father-in-law) even got an OCD when it comes to cleaning and he really focus on germs and and and so his wife is the exact opposite..
And we ended up liking it because it was an intriguing post for us to read. Feeling a little nauseated that the one cloth can be so multi-purpose and unhygienic at the same time. Hope no one falls ill. Right now i try to avoid anything she prepares..
She doesn’t exactly help with breaking the typical stereotypes people have on China women, does she?? We have only two rags in our kitchen: one for the floor and one for the counter. The floor one gets tossed when it’s past it’s prime and the counter one is demoted to floor duty afterward and a new one takes it’s place for counters. Ehm, yeah. How about you take your family out for meals (all meals) for the remainder of MIL’s stay… That rag is hardly recognizable from a month ago. Well my Chinese nana was fine with washing everything with oily soup so I guess I shouldn’t be so grossed out ,right? As soon as I saw your title, I knew what you were going to say. Yuk. My husband had a story about rags. He was staying in a hotel in Dacca, Bangladesh. After spending a few days in the hotel, he happened to be in his room when the maid came in to clean. She had one rag. First she cleaned the toilet with it, then the bathtub, then the sink, and last of all his water glass. After she left, he scrubbed the water glass and locked it in his suitcase. I suddenly feel quite ill.
Oh my mom does that all the time. And I’m Indian. Initially I was shocked but just got used to it. Also my Korean friends share the same sentiments. I think it is an Asian thing. my parents have a kitchen rag but I think it is so gross and stinky! I use one rag per day, and then immediately put it in the wash. I also use a different one for food and one for cleaning. My mother in law just cleaned with this rag the other day Nathan’s hands :p there is just no hope for her… I also started renewing the rags now every other week but somehow she picks up sometimes the old rag from the trash bin and starts using it again. OMG that is so funny….my MIL is a bit similar in that way in that she won’t like to throw away plastic straws, she will want to re-use them, even though they come in a pack of 100 for only $2! I also only use one cloth a day and have separate cloths for the sink and counters (a wet one ), one for drying dishes, and one for hands. 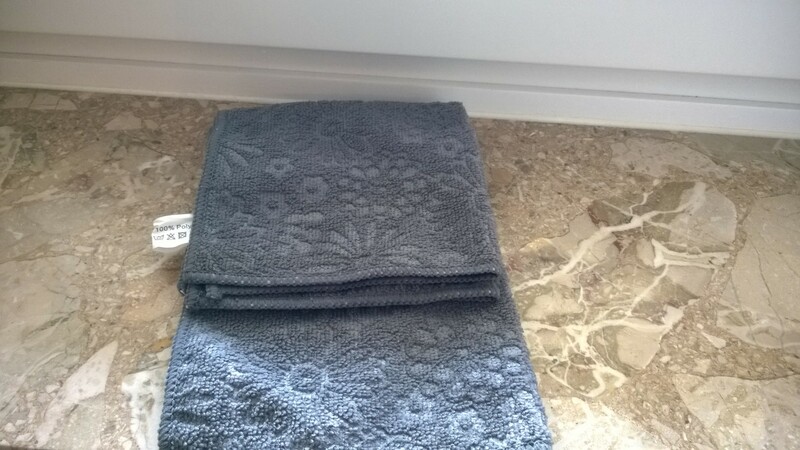 And of course, the bathroom hand towel is not to mix with the kitchen hand towel! And then there’s the separate dishwashing sponge that I microwave every other day to sanitize it. 😀 I think your mil and I are polar opposites in the kitchen. I had friends growing up where their mothers and themselves were also pretty lax in the hygiene department from using dish cloths to clean floors to chewing on their toenails to having moldy towels in the bathroom. I don’t think it’s that uncommon. That makes sense! And I suppose if you don’t have to learn how to cook, you wouldn’t know either, eh? I wasn’t fanatical before having a baby but I’m much more concerned about food safety now. Good on ya! Do you have a specialty dish yet? That looks really good! I would love to try it. I’ve only used paprika as a spice a few times and didn’t notice much flavor. I thought it might have been old. I also don’t cook a lot with potatoes but I would like to try more. Our little one isn’t a big fan but I’m hoping if I keep offering, things will change. Good to know! I’ll have to look into it more. Will you post a recipe?? The kitchen rag… My personal nightmare. I sometimes secretly washed my MIL’s one 90°C with the towels. … and many other things I already pushed to the back of my mind.